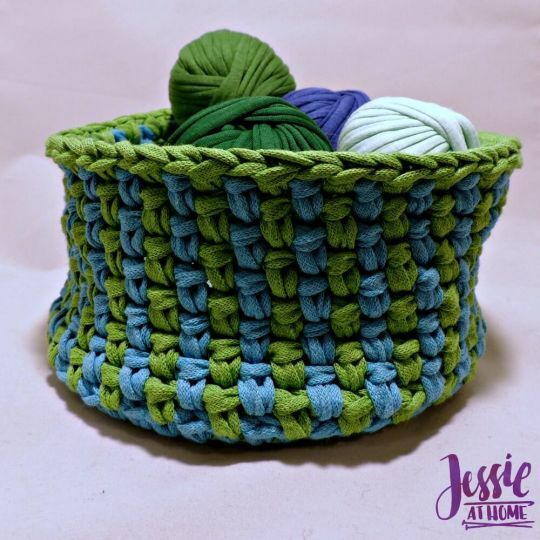 This Linen Stitch Basket is great for holding your yarn or other small items. By using the linen stitch in alternating colors, vertical stripes are created. Choose your favorite colors of Hoooked Ribbon XL yarn to make this pattern your own. The base of the basket is single crochet, making it very sturdy. If your base buckles, then just wet block your basket to get it into shape.